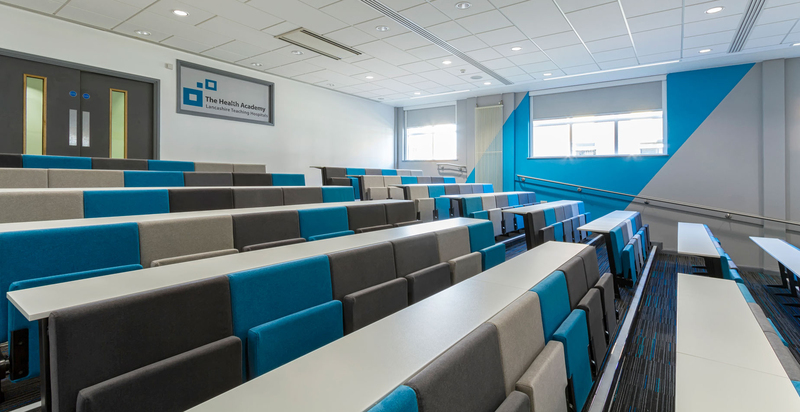 The Lecture theatre was part of a phased programme of works at the Health Academy; part of the Royal Preston Hospital. 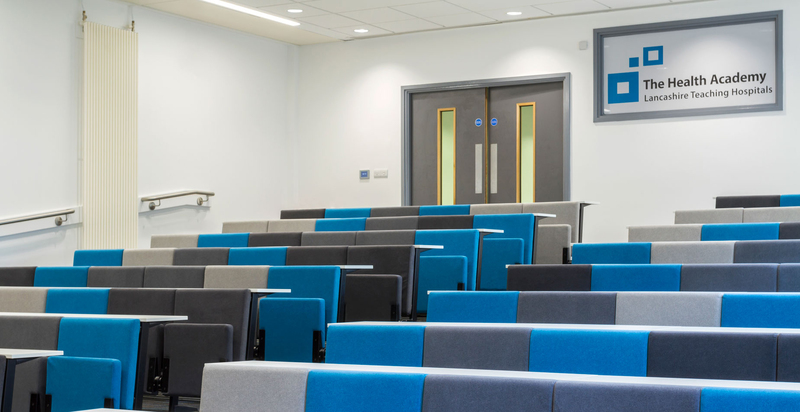 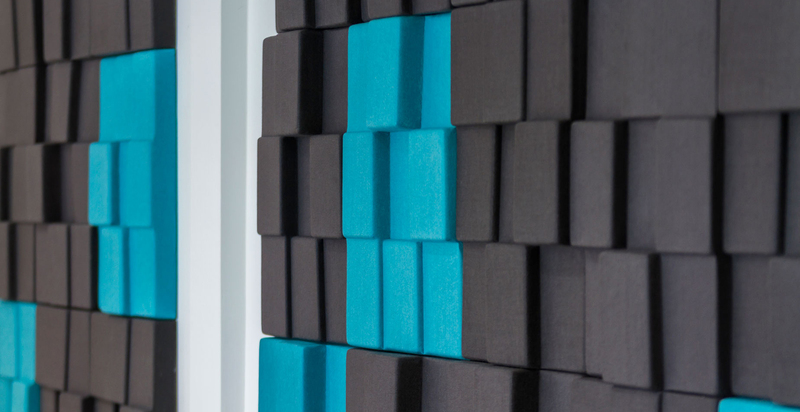 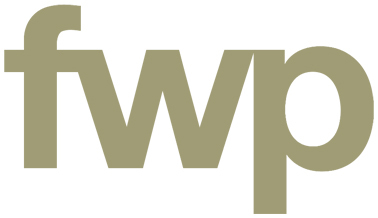 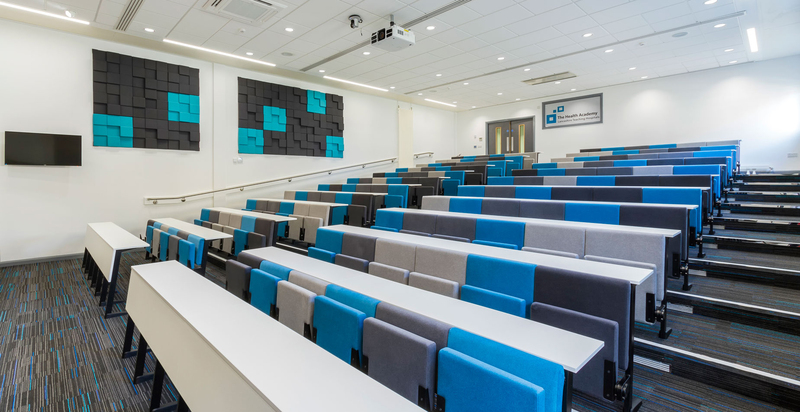 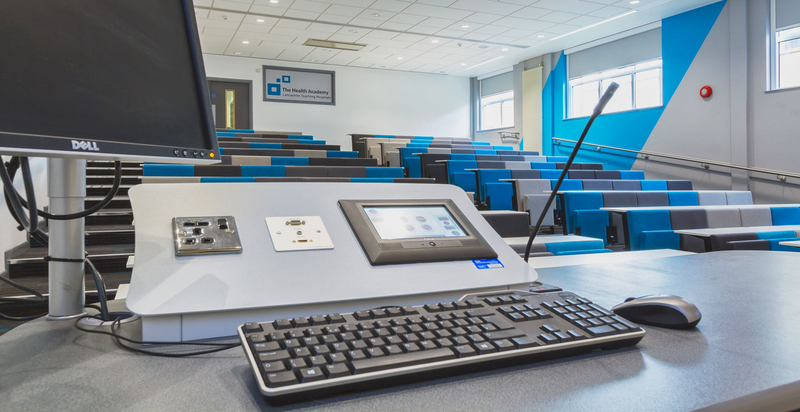 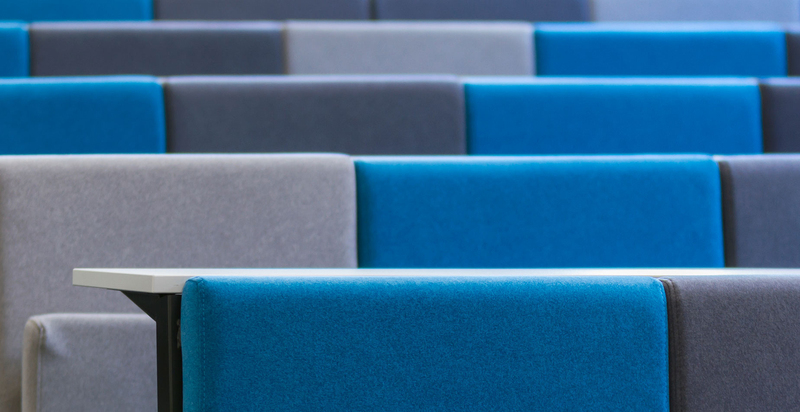 We fully stripped back their existing tiered hall of its seating, M&E, decoration and AV equipment to produce a new state of the art Lecture Hall. 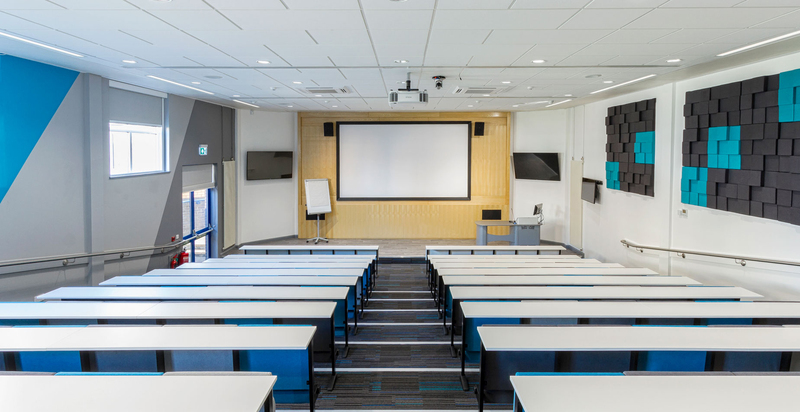 The facility now with-it modern design incorporates a programmable lighting installation, comfort cooling to deal with numerous lecture sizes, comfortable seating, acoustically designed to offer the best sound performance for its lectures and a superior quality Audio Visual system designed for the diverse array of lectures the room is used for.